Give your 909 sounds that extra edge. Sometimes you have to hand it to the DIY obsessives who spend so much time solving other people’s tech and studio issues. These unheralded figures manage to take the edge off of all those small problems in the studio that drive us mad, but that we’re too lazy—or unknowledgeable—to do anything about. Case in point is the brilliant work of Kyle Evans (a.k.a. pulseCoder). 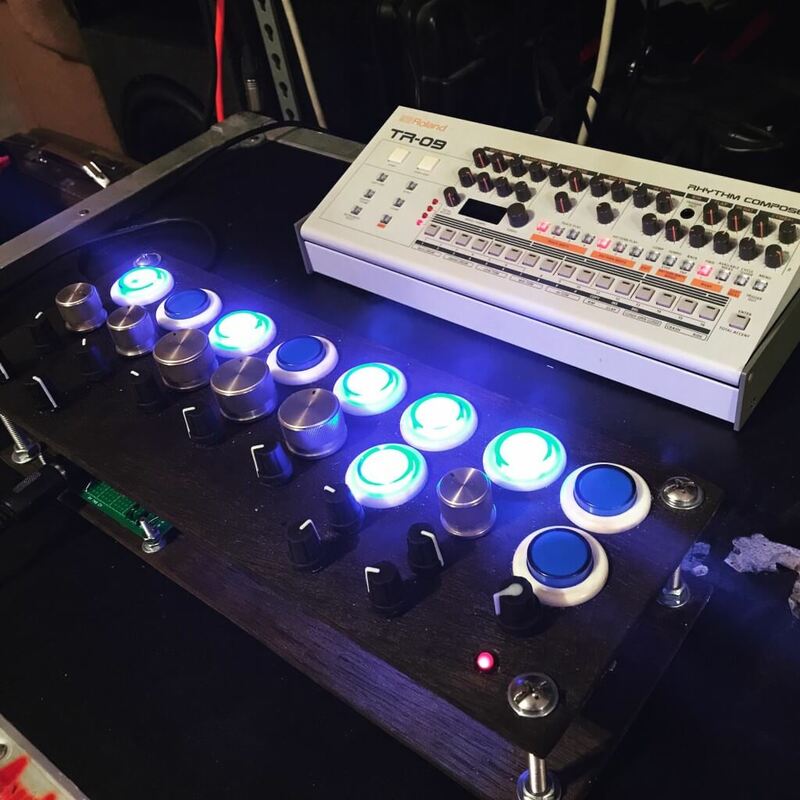 The musician and DIY gadget builder had had enough of the TR-09’s tiny knobs and pots and wanted something a little bit more dynamic to get the best out of the emulated Roland 909 sounds. The result is an incredibly user-friendly MIDI controller. As you can see above, Evans has built an impressive piece of hardware that maximizes the TR-09’s features and primes it for live performance. Even more impressive: it’s now possible to customize one yourself following his intuitive outline. To read the tutorial in its entirety and to begin sourcing parts for your own instrument, click here.